Opposition politicians have blamed the dire state of education in the north of Scotland on a “chronic shortage” of teachers. MSPs from across the political spectrum placed the blame for the poor performance squarely at the feet of the Scottish Government. The north of Scotland has had well-documented difficulties in recruiting and retaining teachers, who are often reluctant to work in remote or expensive areas. A year ago, councils across the region have held a summit in a bid to solve the recruitment crisis, but the problem has persisted. Scottish Labour MSP Lewis Macdonald, who represents the north-east, said the new figures make a mockery of Nicola Sturgeon’s claim that education is her top priority. 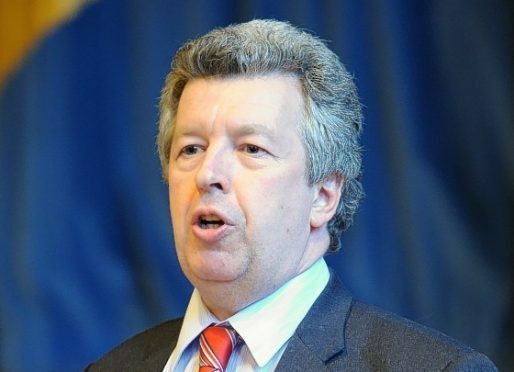 He said: “These figures make it clear that the difficulties in recruiting and retaining teachers in Aberdeen, Aberdeenshire and Moray have not been resolved. “The three local authorities have been working together to try and find solutions to these problems, but they need the support of SNP ministers if the number of teachers in the area is to increase. “John Swinney recently announced a £1million drive to recruit 200 new teachers, yet in parliamentary questions answered today he was unable to give any guarantees that any of these new training places would be at the University of Aberdeen. Scottish Conservative MSP Ross Thomson said it would be “wrong” to try and argue there was no link between the teacher shortage and poor results. He said: “We have been saying for a long time now that we have a chronic shortage of teachers in the north-east of Scotland, and that the problem has been particularly acute in Aberdeen. “These figures show again that teacher numbers have fallen in Aberdeen City and Aberdeenshire and it would be wrong to say that there is no link between those statistics and the poor results for reading and writing attainment in primary schools. Tavish Scott MSP, Scottish Liberal Democrat education spokesman, criticised the SNP’s “one-size fits all” approach to education. The Scottish Greens’ education spokesman Ross Greer added: “We see class sizes continue to creep up, making them the highest they’ve been since the SNP formed the Government, and nine years after they promised to reduce them to 18.